Bitter cold is descending on Maryland and temperatures will be in the single digits until the weekend. 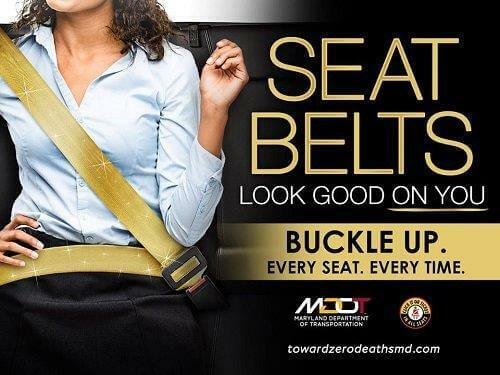 The Maryland Department of Transportation State Highway Administration (MDOT SHA) is offering tips to help motorists keep moving and able to reach life’s opportunities during the extremely cold weather. Checking a vehicle closely before venturing out in cold weather can significantly reduce the chance of a mechanical breakdown on the road. Just getting into a vehicle in single-digit temperatures can be a challenge. A good idea is to use vegetable oil and a paper towel to coat the rubber door seal to prevent it from freezing shut. Should a door be frozen closed, rather than pulling the door open, gently push forward to break the ice seal. Suddenly pulling the door can damage the seal. Having at least one-half tank of fuel will prevent fuel lines from freezing, rendering the vehicle temporarily inoperable. A full tank is preferred as more fuel is used during bitter cold as drivers often let vehicles run in idle to warm up the engine and associated components. An otherwise small problem can quickly turn into a large and expensive issue from arctic temperatures. Cooling system failures are a common issue. Motorists are encouraged to check their radiators and coolant hoses for any leaks. A small drip can lead to a burst hose while on a road and will leave a motorist stranded in a very dangerous place – on the side of a high-speed highway. Running out of coolant with a hot engine also leads to an extensive and expensive engine repair. An aging battery and is very likely to fail during colder temperatures. At 32 degrees, a battery loses 35 percent of its strength. During cold weather, unplug mobile device chargers from cigarette lighters and make sure terminals are corrosion-free. Drivers are reminded to keep the windshield washer reservoir topped with fluid. The combination of a dirty windshield and sunlight can significantly reduce a driver’s visibility and pose a hazard to pedestrians, bicyclists and other motorists. It’s a good idea to keep blankets in a vehicle, bottles of water and flares, just in case of a mechanical breakdown. If a driver becomes disabled while in traffic, it is best to stay with the vehicle, turn on hazard lights and in Maryland, dial #77. 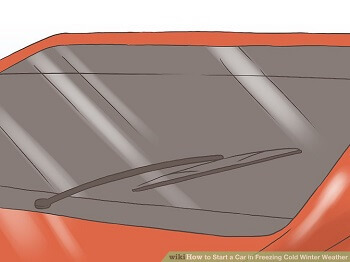 Run the engine and heater for short intervals and crack the window slightly to prevent carbon monoxide buildup. Finally, just like extreme heat, never leave animals in a freezing vehicle, even for a few minutes. Temperatures can drop quickly once a vehicle is turned off.